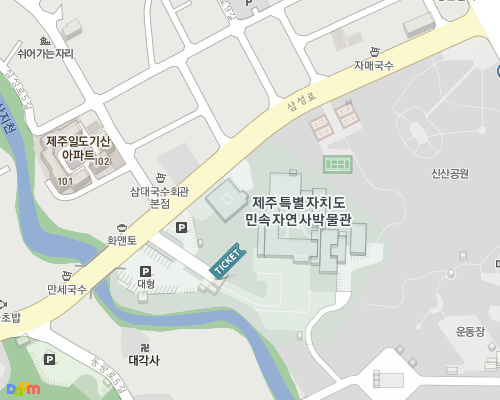 Jeju Folk & natural history museum is located near by my house (just 4 stops via #100 busline). It has been 21 years since the museum opened in 1984. As the only folklore and natural history museum in Korea, the Jeju Folklore and Natural History Museum investigates, researches and exhibits folklore remains and natural historical materials collected across from Jeju. The display all the way from the formation of Jeju Island to the ecology of its natural resources and its unique culture, to help visitors to understand the island and people better. When you enter from the left, the first thing you will see is the natural history exhibition room. Here, the history of the formation of Jeju Island is shown through geological models and samples of mushrooms and citrus. Folk exhibition room No. 1 displays materials on the rite of passage from birth to death of the Jeju natives and folk exhibition room No. 2 shows materials that represent the traditional ways of living, including those used by the haenyeo (diving women), and farming and hunting tools. You can also see scenes of Jeju people making their living in the traditional ways. The outdoor exhibition space holds agricultural stone tools such as a millstone and a Jeongjuseok (gate stone), and other traditional cultural objects.